KATHMANDU, May 15: Ministry of Energy (MoE) is the top performer in development spending till the first nine months of the current fiscal year. 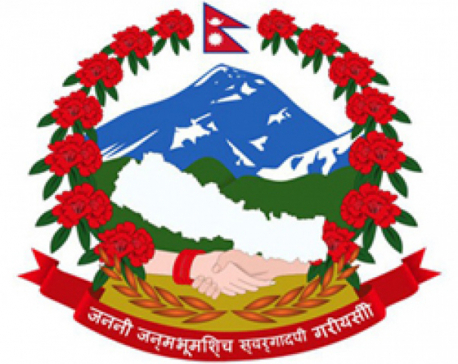 According to Financial Comptroller General Office (FCGO), MoE has spent 68 percent of the Rs 8.04 billion allocated for development projects and programs till mid-April. Ministry of Physical Infrastructure and Transport (MoPIT), and Ministry of Irrigation (MoI) are second and third, respectively, in the list with capital spending of 44 and 43 percent out of the allocated Rs 66 billion and Rs 24 billion. MoPIT has spent Rs 29 billion till mid-May, while MoI has spent Rs 10 billion. Ministry of Health, Ministry of Education and Ministry of Drinking Water and Sanitation are the other best performers with spending progress of 42, 39 and 39 percent, respectively, according to statistics of FCGO. Ministry of Federal Affairs and Local development, Ministry of Finance, and Ministry of Industry have reported spending above 30 percent, according to FCGO. 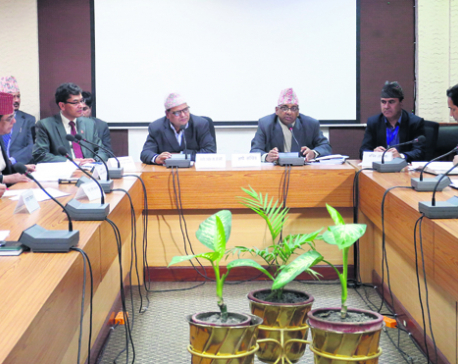 “Thanks to these good performing ministries, overall spending has seen a major progress in the review period compared to previous years,” Madhu Marasini, the chief of Budget Division at the Ministry of Finance, told Republica. “The overall capital spending in the first nine months of the current fiscal year stands at 31 percent, it is higher than the average spending in this period over the past decade,” he added. Capital spending till nine months of the current fiscal year is around 3 percent of GDP which is a record high over the past decade. In the past years, the figure use to remain below 2 percent. Major progress in spending will help the government to achieve its economic growth target of 6.5 percent. The government has not been able to meet growth target in the past 10 years. In its recent growth estimates for the current fiscal year, Central Bureau of Statistics (CBS) has expected the economy to grow by 6.9 percent in the current fiscal year, propelled by progress in reconstruction works, improvement in electricity supply and record paddy production owing to good monsoon. World Bank is more optimistic with the country's economic outlook as it expects the economy to expand by 7.5 percent. The government has allocated Rs 311 billion for development projects and programs for the current fiscal year. It even announced Fiscal Year 2016/17 as the 'Budget Implementation Year'. Development spending was miserably slow till the first six months of the current fiscal year. Business people say that there is liquidity crunch in the banking system due to the government's inability to spend.